The Schuylkill River Trail passes over the river, east of Birdsboro, Berks County. Three people hung onto branches long enough on Sunday to be rescued from a rain-swollen Schuylkill River. 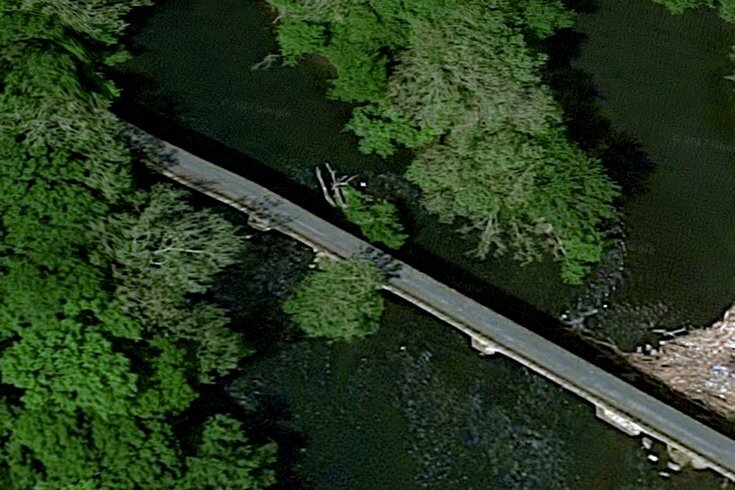 Hikers crossing the river on a trail bridge in Union Township, Berks County, saw the three canoers and called 911 about noon, according to the Associated Press. Personnel from the Birdsboro Union Fire Department responded to the scene and rescued the trio from the river. While their paddle in the "high and fast" river was risky, the boaters had only slight injuries, Steve Dragon, a spokesman for the fire department, told the AP. Several heavy rains have fallen in the region over the last 10 days.